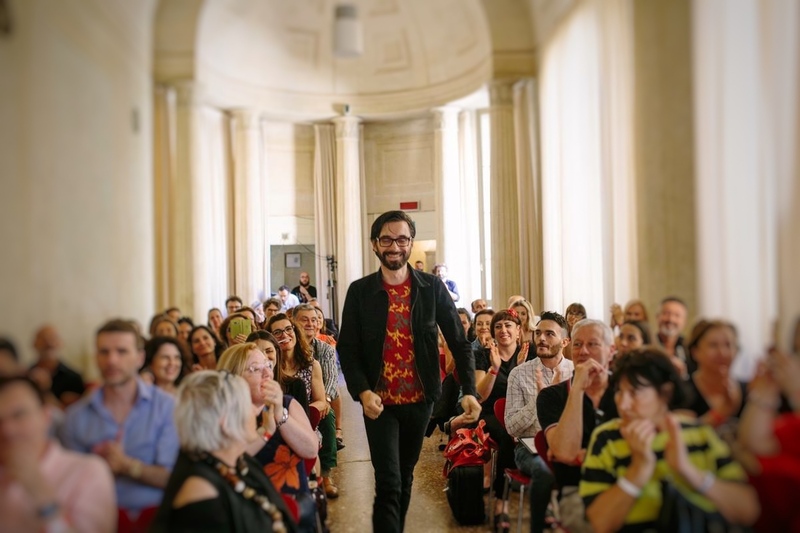 On the 25th April this I received an intriguing e-mail from one of my dearest perfume friends Ermano Picco, writer, fragrance specialist and creator of the influential blog La Gardenia nell’Occhiello, which translates as gardenia boutonnière. Ermano asked if I would consider being a judge for the 2017 OSA! 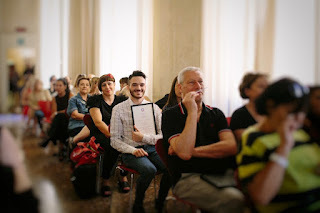 Outsider Scent Awards, a competition he had established in Bologna in collaboration with the Smell Festival, an already well-known olfactive cultural event in the city. Ermano is one of the few people in the perfume world whose opinion I genuinely value trust. Behind his expert dandyism is an astutely gathered aromatic intelligence, made all the more lovely for his modesty. 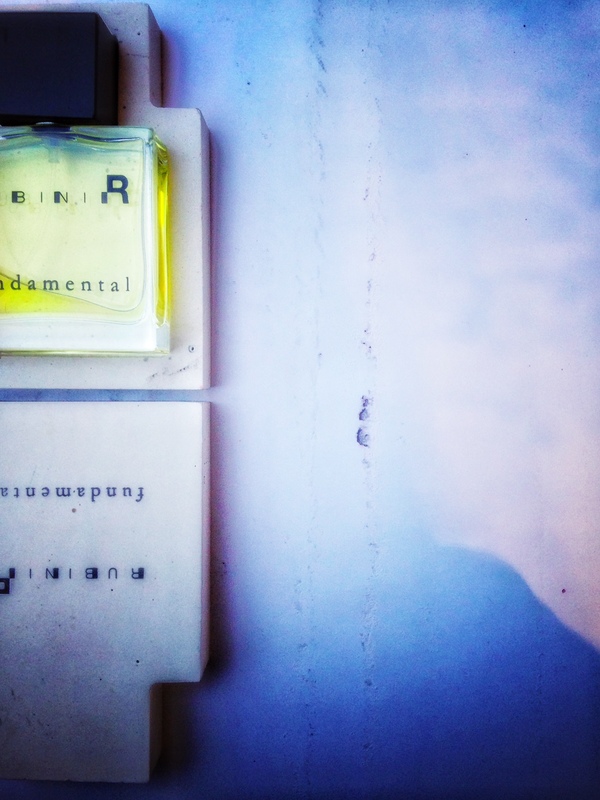 In 2012 Andrea Rubini launched Fundamental, one of the most compelling perfumes in recent years.Strange and enigmatic, Fundamental used beeswax, the Soave grape, leather, iris, vetiver, Calabrian bergamot and tangerine to create a perfume of astonishing, dirty, time-worn beauty. It mixed vintage brothel vibes with modern day chilled down booze to illicit an amazing collision of emotions and effects. Each time I wear it and that’s a lot actually, I really do stop for a moment to appreciate how unique and fascinating the mix of odours is in the air and on my skin. I have nothing else like it in my collection. I mention Fundamental because the charming Andrea worked with Ermano and perfumer Cristiano Canali to formulate this incredible project. 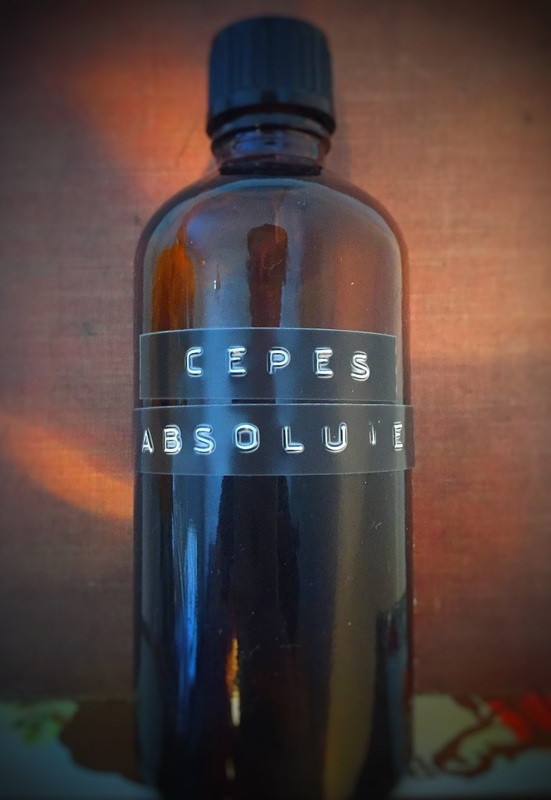 Andrea’s family background in perfumery, Ermano’s experience and knowledge of the perfumery business and Cristiano’s twofold role as perfumer and guide at the renowned Osmothèque in Paris produced a rare modern masterpiece. I didn’t really have to take very long to think about Ermano’s offer; to be honest I was immensely flattered to be asked. As a writer tucked away up north in Scotland I spend so much time alone, not really checking in that much with the perfume world, I’m always surprised when I’m invited or asked to do anything really. It’s how I like it; it took a huge amount of effort and persuasion from those that know me to have those Silver Fox images taken by my friend Julien Borghino recently. I intended to have total control over them, but in the end Julien was amazing and produced images that surpassed what I expected. I had forgotten that many people had no idea what I looked like. The Fox is still a concept though, a role. I am still reluctant to do more than that, I’m not interested in my face or voice being anywhere on social media. The thought horrifies me. 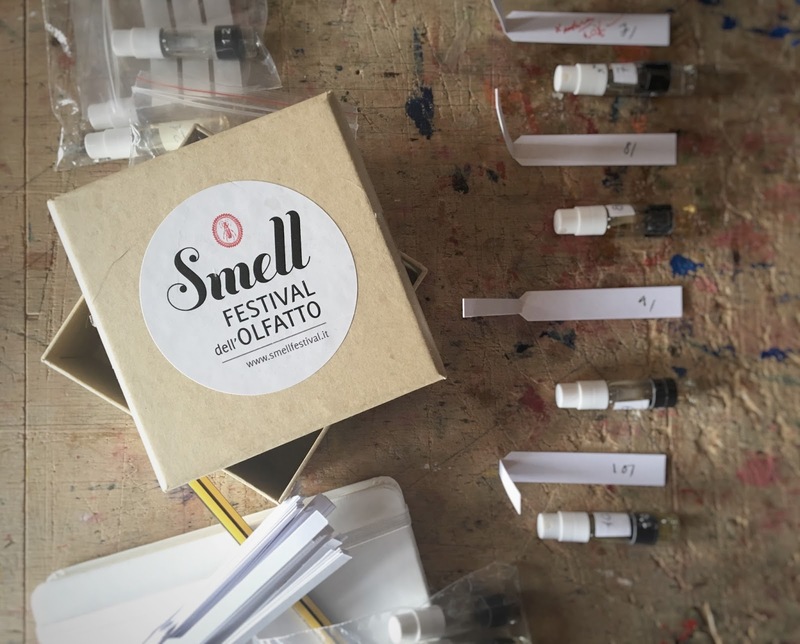 But it was great to be asked by Ermano and subsequently Francesca Faruolo of the Smell Festival to participate in the Outsider Scent Awards. I could still be relatively anonymous. It is ostensibly an elegant and simple arrangement, the judges, who are actually unknown to each other to avoid any potential discussion and biased shading of the submissions, are sent a collection of carefully numbered vials. The vials of eau de parfum, the concentration was a strict stipulation of competition entry, were accompanied by short statements made by the creators connecting and justifying the olfactory impact, technical structure and interpretation of the competition brief. ROOTS. This was the theme for the 2017 OSA! Outsider Scent Awards and to be interpreted in any way the perfumers felt appropriate. In the end, they split pretty much 50/50 looking at rooty rhizome materials such as like iris/orris, ginger, vetiver, carrot seed and nard or they looked to their own personal roots, memories and family history for inspiration. In some cases the two crossed with beautiful results. 1.Relevance to the olfactory topic proposed.1.Balance of the composition. 2.Care in selection of the raw materials determined from the olfactory analysis. This quintet of criteria had a points system and we scored as we saw fit after carefully working our way through the submissions. I was very aware throughout the process, of the competition’s emphasis on the promotion of wild talent and those outside the more elitist and accepted schools and routes of olfactory training. Those perhaps looking in from outside with different perceptions and philosophies on olfaction, those desiring to stretch and push at the more accepted conventions of what we normally consider as perfumery. There is a lot of muttering and often quite disparaging wordage about art in perfumery or perfume as art. Classicists and the usual dullard bloggers would have us only reserve this term for the untouchable archival beauties of yesteryear such as Iris Gris, Mitsouko, Chypre de Coty, Bandit, Tabac Blond, Djédi, Diorling, Cuir de Russie, Shocking, Opium etc. Not only is this boringly predictable, it allows no progress and dictates that nothing made after Opium is worthwhile sampling, which is absolute nonsense. Inherently interesting art should be an evolving form of self-expression and to be honest I have always been slightly queasy about using it in reference to olfaction. But I do, so I guess somewhere, somehow I think within the myriad of produced formulae, the relentless pursuit of beauty as opposed to just the scramble for lucre there is an deep emotional pivot and thrust in certain perfume obsessed individuals to just make odours and see inside the creation a mirror of themselves. OSA!, while being an acronym for Outsider Scent Awards, is also Italian for dare! and the competition breaks with convention in asking the budding perfumers no questions about training, background, route to olfaction etc. To dare is to dream of differently scented skin. Orablu-Associazione Culturale is the name of the quiet and talented organisation that supports the Smell festival, promoting and diffusing events that are specifically olfaction-centric. Orablu is the Italian translation of L’Heure Bleue by Guerlain and seems to me pretty unique in its determined promotion and endorsement of the importance of fragrance training and education. 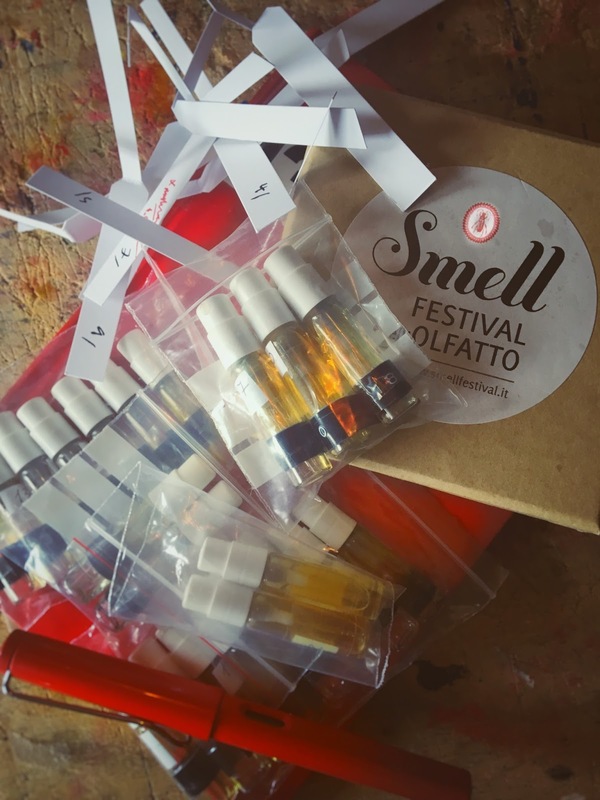 2017 was the second year of the Smell Festival with Ermano working closely with Francesca Faruolo, the Creative Director and General Manager of the festival. So, the samples arrived, beautifully packaged and neatly numbered. The straightforward instructions for the judges arrived by e-mail. I was in the middle of photographing bottles of fragrance for a London-based brand and I wasn’t exactly in the best of health either, a bad fall had meant a shift in my meds onto painkillers that had me living in alternate universe as it were. But I could still smell with a simple silent clarity. Twenty-two samples of eaux de parfums is a lot if you think about. You know you have to do justice to each scent and spend time in its company, not just at the beginning with a brief hello, but throughout its time until it fades and lies down to sleep. This meant a week of deep sampling. I set aside some days and numbered tester strips in anticipation. I spent time reading through the notes the perfumers had submitted with their work, some sparse and to the point, others rambling and stuffed with personal details. 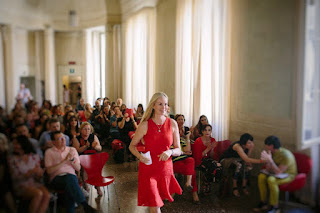 Each perfumer had provided a list of actual materials as well as their written justification of notes and their execution in relation to the ROOTS theme. There was a lot of reminiscence, makers using the theme as an excuse to project gilded cinematic flashbacks to childhood, family, houses, places, birthplaces, the deeply connective network of formative olfactory sensation. Others looked at rituals, medicinal influences, the radix of objects, the power imbued the smell of things; trinket boxes, candy and fairy tales. Even before I started sampling, I was impressed by the range of materials used throughout the competition; this was by no means a collection of cheap whimsy. These perfumers had sought to use a diverse and imaginative palette of aromas; rich with emotion and texture to help them tell complex stories. 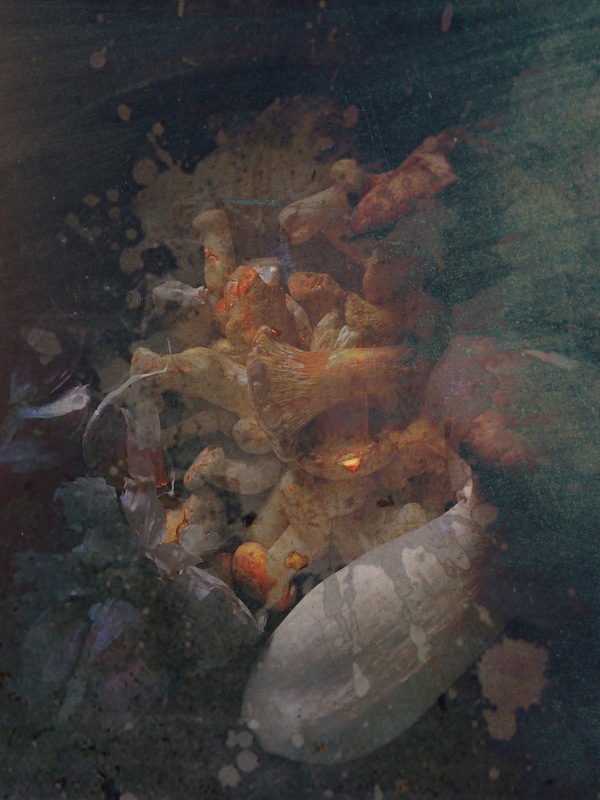 Costus, cocoa, valerian roots, fire tree absolute, broom, mushrooms, poplar flowers, geosmin, rum, henna, hyraceum tincture, licquorice root tincture and angelica root are only some of the wondrous hexing materials gathered by the perfumers. Of course I knew some would be better than others but I was excited as I sat down on day one and started sampling. I am very meticulous; this applies to whenever I try new fragrances. I never rush and often wait for days before I try new perfumes. I have to feel right; I don’t like tearing into things, there has to be ceremony. As a serious migraine sufferer, I have to be vigilant, my head has moods, weathers if you like, that dictate how I feel and if I wear scent or not. I feel the onset of severe attacks in my lower spine and base of my skull like stormy skies and then I have to retreat into darkness. One by one, over the days I sampled the OSA! 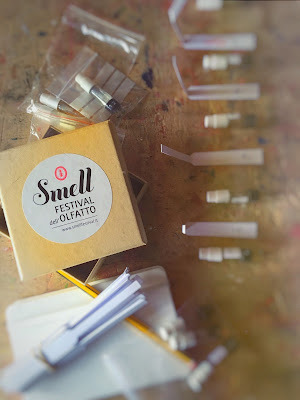 submissions, making notes, spraying the tester strips generously, returning to them over the hours I was wrapped up in testing, reading and double-checking my thoughts and musings. I was always aware of the criteria by which the submissions were being judged and after initially experiencing the scent for its personality I then considered olfactory architecture and how the materials had been used either wisely with coherence and emotion or recklessly, just for effect and sleight of hand. And ROOTS, this word, concept, mission statement. The majority of the perfumers had translated the concept as one of memory, souvenir and origin, others mixing this with rooty materials and a creative sense of earthiness and inherent loam and mulch. Some of the submissions toyed with overt abstractions, mostly unsuccessfully I felt, ROOTS is not particularly a theme that lends itself that well to whimsy and obliqueness. I was more intrigued by the creators who quite simply stated their purpose, lay out their notes and like a net, drew me in with a well-written or unexpected explanation of intent. I was aware that some people struggle to express themselves and the perfumes would speak, however the competition had quite strict rules of engagement and these had to be followed. A few of the submission texts were a little bonkers and honestly barely connected to the work they were supporting. Then suddenly words, concept, imagination and bold emotive resolution coalesced as I was sampling and revisiting an anonymous numbered strip and this perfume was taken to one side so that I could create a Foxy shortlist. Overall, I was really impressed by the standard of the OSA! submissions. Not that I was expecting dull, poor quality work, but the genuine passion, commitment and belief in olfactory self was wonderfully reassuring. They demonstrated a willingness by would-be perfumers to step out of the monolithic shadows of Givaudan, IFF, ISIPCA training schools etc and be fearless in their desire to compose perfumes and olfactory skeins that intrigue and romance while at the same time being free of the often punishing demands of working for major scent houses. I must say here that while increased and welcome access to a broader range of materials, both natural and synthetic has allowed anyone to try their hand at some form of perfumery/blending etc, I feel that artisanal makers must always strive to use the very finest materials possible. It is not enough just to put ingredients together and hope they transmute into odiferous gold. One of the most interesting things for me about this OSA! competition was the scented timbre and texture of the submissions. I was interested in the materials used in each perfume; more important was the emotional and technical translation/adaptation of said materials against each proposed submission story and of course the overall arcing ROOTS theme. As I was sampling I was aware that while some perfumers had used some beautiful materials they hadn’t handled them well, the formulae were blocky, undignified, lacking a sense of dynamism. Some were overly restless, the theme either under or over developed resulting in work that turned in on itself. And yet amid the inertia, fizz, predictability and safety there was some amazing work, beautiful interpretations of the rooty theme, pungent use of rhizome materials, wise and imaginative blending, innovative ingredients, daring imagination and in a few cases, just thrilling olfactive drama. As we waited for the final shortlist, Ermano and the Smell Festival folk revealed the list of eight jurors and I was honoured to find myself among some esteemed company. Ermano has always been one of my kindest and most sincere supporters as I have been writing, but even so I was still a little surprised that when my fellow judges included iconic perfumers Vero Kern of Vero.Profumo and Alessandro Gualtieri of Nasomatto and Orto Parisi. 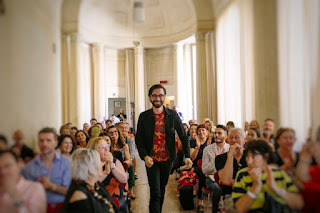 Obviously the wonderful Ermano was a judge alongside Antonio Alessandria of the same eponymous perfume line and owner of Boudoir 36, a fragrance boutique in Catania; Luigi Cristiano, author, herbalist and artisan perfumer; Roberto Dario, an independent fragrance creator, educator and olfactive consultant and Gianni de Martino, author of works on ethnography and odour. A strong an interesting list with a wide range of abilities, perhaps a touch light on the female side and myself and Vero were the only non-Italians, but this is only year two of this award and Ermano has worked incredibly hard to get this far so the structure and support for his award is still evolving. As a group, with our scoring, we created a quintet of shortlisted Outsider Scents Award perfumers and these were announced on the 19th May: Michele Bianchi, a teacher and fragrance lover originally from Foggia in Puglia with Humus, Tanja Bochnig, German natural perfumer, owner and founder of April Aromatics with Pink Wood, Marco Ceravolo, perfumer in training from Ferrara with Memorhyza, Léa Hiram, perfumer and visual artist with Light In The Roots and finally Valeria Sargu, a herbalist from Bologna with Racines Danseuses. It was a very interesting final five. Three of my personal top five scored perfumes made it, Humus, Memorhyza and Pink Wood, which made me very happy. Léa and Valeria’s work, while solid and adhering to brief wasn’t quite to my taste and I had two other weird chthonic things I liked more, not quite as well made as my top trio but still with unexpected elements and textures that arrested me as I worked my way through the samples. I knew as soon as I inhaled the air around Memorhyza that I loved it but more objectively it was unique and seemed like something surreptitious and private that had been pressed into my hands at the last minute with whispered urgent words by someone fleeing.. open this later.. it’s the soul of my soil, soul of my garden.. It appeared quite early on in my sampling and really brought me to a stop with its powerful and emotive grab of fungal loam, mushroom breath and surreal kitchen/garden conversation. bulbs?….yes. They are in the kitchen. Today the sun hardly shines. Interesting stream of consciousness approach. I noticed the submission before the samples arrived and already began to formulate an idea of how Memorhyza might deliver. Obviously writing something somewhat abstracted and challenging for OSA! had to be supported by Marco’s actual olfactory submission, use of appropriate materials and whether or not I felt he had entwined these things artistically and coherently enough to merit noteworthy marking. A few years ago I collaborated with Scottish perfumer Euan McCall on a number of olfactory projects and for one of them we had an incredible mushroom absolute that was so meaty and redolent of pig-snuffled truffles. Just the tiniest amount imbues a formula with an echo of spores, tendrils, rooty reaching and the pallid, alien allure of fungi. This is a creeping strange force in Marco’s Memorhyza; humid mushrooms in his top notes mixed with a mulchy bulbous vibe, birch leaves and a lavender note that early on begins to temper the mushroom thing with green and purple dust. There is a sense of woodland foraging, but somehow the wood is dark and dripping with cold night water. Underfoot, the reek of leaf litter and layered decay mingles with bark, sap and oozing buds. I loved the central section, a slightly uneven but still impressive spidery assembly of bitter poplar blooms and oily cardamom with the beginnings of a more desiccated bouquet stained with the spicy/soapy fray of carnations and a shadow of violet. The iris and styrax in the base exalt the rootiness of the work, swinging like a light bulb across the mounds of soil, peel and tumbling dirt-encrusted harvest in a claustrophobic cellar. Each time I smell it I can’t quite shake the odour of sensual malice, the sharp sugared mould that pervades the formulation. This will sound so odd, but I think Memorhyza smells of love, a love created in a mulched, raw-dug flickering room by a man turning the earth with bare hands to prove the depth of his feelings. A strange place where the garden and kitch overlap and vines grow up trellised tiles. The floor is leaves and fallen branches, the air alive with sap, rain and loam. Love is memory; nights spent winding together words and images, materials and concepts. Marco has undoubtedly created something challenging. Is it perfume? Of course it is. I say so and the odd force of Marco’s vivid imagination says so. He has created something that embraced the ROOTS brief with perverse beauty. Michele Bianchi’s Humus is a profoundly personal composition. Since the end of the OSA! awards I have kept in touch with Marco, Michele and Tanja. 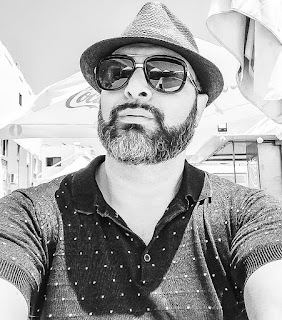 Michele’s Instagram grid in particular brings me great joy, with its self-evident happiness in who he is, what he does and now his journey towards Humus and its precious siblings Ladan, Carskij Oud, Oud 2.0, Notti Bianchi and Danza Armena being launched. He is a handsome little thing, puckish and charming, from a tiny village in Foggia in the southern Italian region of Apulia. His roots are there amid the heat of agriculture, viticulture and the cultivation of sugar beets, which need a particular mind of soil (and humus….) 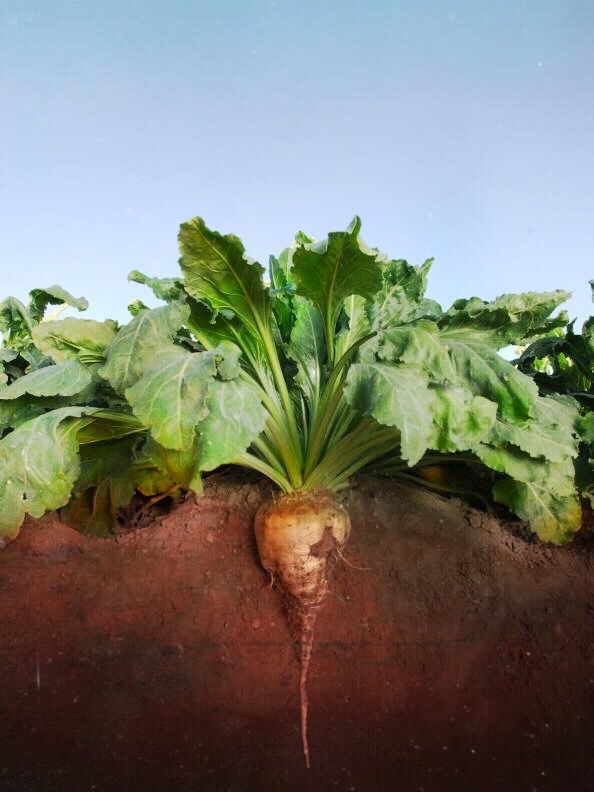 in order to grow; they are not the easiest of crops, susceptible to root attacks, fungal assault and leaf blight. When he heard the OSA! theme, for Michele, the atmospheric and olfactory gathering of beets was the anchor memory for his composition. Geosmin is the soul of Humus and the powerful suggestive link that Michele required to tie him and us to his earthy Apulian roots. It is the distinct aroma of turned damp earth, rain and petrichor, that glorious aftermath of stormy weather on soil. It is a naturally occurring molecule first isolated by Bush Boake Allen, (Now part of IFF) and is now currently synthesised. Bacteria make the compound in soil and blue-green algae in water. 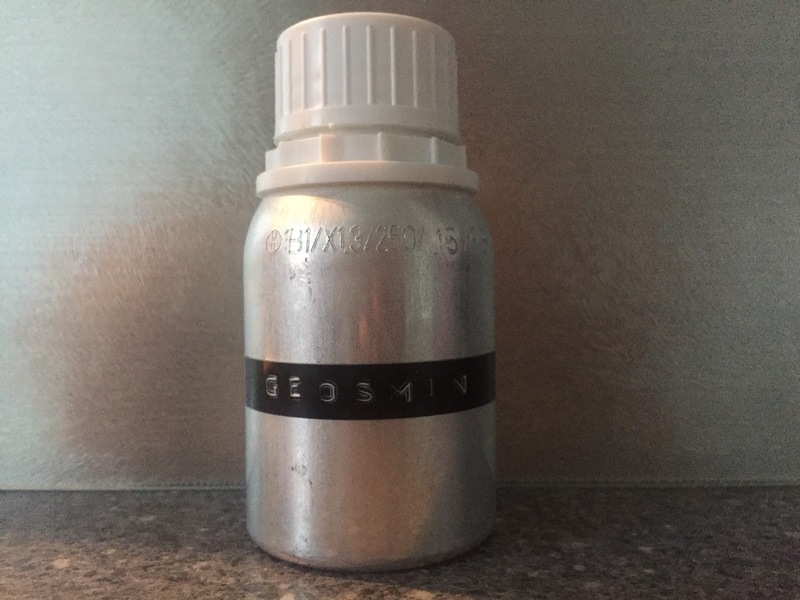 Normally used at a dilution dosage of 0.1% Geosmin is a very powerful aromachemical, the smallest trace of which that can have a huge impact on fragrances. I’m fascinated by its effects; they can vary from the tremulous promise of rain, the loamy taste of fresh beets to stale muddy water, rumbling taps spurting brown water and the sticky manure reek of turned topsoil. Used wisely it can have exquisite transformative effects on perfumes, especially rose compositions, a superb example is Quentin Bisch’s Hermann A Mes Cotés Me Paraissait Comme une Ombre for Etat Libre D’Orange. Or deliberately overdosed for effect as in Bat by Zoologist Perfumes, an astonishing yet divisive composition by Dr Ellen Covey, herself an expert in bat echo-location and creatrix of the artisan line Olympic Orchids Perfumes. The mix of geosmin, fruit, leather and fur accord created a beautifully moist and tenebrous cavern of bat habitat suggestion. Michele has purposely overdosed it too, to suggest the pervasive aroma of sweet mucky sugar beets and the turned shaken soil of the warm Apulian summer fields. But Humus is much more than just an earthbound homage to his Italian roots; the geosmin has been exalted and to a certain degree sensualised by Ambrinol, a synthetic amber that draws the composition down amid cold patchouli roots and a bleak outcrop of oakmoss. I like the rose/oud duality that sits in the nicely calibrated mid section; hardly original, yet Michele has resisted the temptation to turn up the volume on his oud and the rose feels dark and slightly burnt around the petal edge. Rum is poured on the oud and rose to add a boozy, liqueur edge and vetiver doubles down on the geosmin and patchouli whilst adding a subtle touch of grassy leather to the mix. Humus is beautiful work, emotional and strong, the notes cohesive, unfolding with maturity and nostalgic grace. The opening feels a little rushed but in some ways this echoes how memories work, that sudden initial inhalation and synaptic crackle of olfaction recollection. It smells wearable too; a few careful tweaks and some smoothing of the geosmin and it will feel wonderful. I like the weight of Humus; despite delicate top notes of citrus and ginger, the formula is geared to feel below ground as it were, in its roots and wearing it as I have been as I write, I notice how well Michele has handled his transitions between moods and materials. The quality of his ingredients is undeniable and he ticked all the boxes regarding the brief. So many of the compositions claimed a biographical spark, a connection to roots past, using olfaction as a means to leverage attention, whereas Michele’s redolent evocation of a childhood landscape raises genuine heartfelt simplicity in a perfume of perfectly captured odours. He is now based in Moscow where he teaches Italian classes; his IG feed has a delightful mix of Russian snow and Apulian sun. I like to think Humus is bottled home and if he was ever feeling homesick and missing the dry, swaggering heat of Italy, he could simply spray Humus and be transported back for a cool, earthy moment in time to those churned beet fields and the gathered aftermath. The final perfume in my top three and the OSA! overall top three turned out to be Pink Wood by Tanja Bochnig, founder and perfumer at April Aromatics. 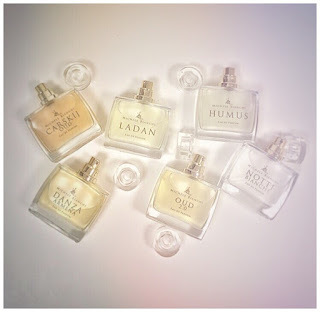 I already knew of Tanja’s work as an organic and 100% natural perfumer but I had not got around to sampling her line of highly acclaimed and much loved fragrances. Pink Wood or Pink W(oud) as it was presented to us in the competition immediately stood out from the other submissions due to the radiating beauty of Tanja’s sublime rose otto and rose absolute. I actually sat back with my tester strip and closed my eyes for a good fifteen minutes lost in the dewy folds of raspberry and shell tinted petals. A grown up aromatic embrace of velvetgreen geranium imbues the rose with a huge sense of wonder allowing Tanja to weave an intimate display of holistic and aromatherapeutic skill. In the late 1980s and early 90’s Tanja was signed to Elite Model Agency and travelled the world working on editorials for some of the best magazines and photographers in the hedonistic hectic business. Always intrigued by aroma and the effect of scent on mind and body, Tanja started experimenting by mixing her own essential oil blends to take with her on as she travelled to soothe, relax and balance her spirit amid the relative surrealism and chaos of shoots and runways. This led to her studying more intently the processes and techniques of aromatherapy, botany and natural perfumery, a notoriously fractious and complex field in which to create stable, ethical and beautiful work. Tanja is now Berlin-based and also a certified yoga teacher. This too has been woven into the olfactory aspect of her life with Aromayoga®, applying her own carefully prepared oil blends to specific chakra points in conjunction with her proffered yoga teachings. Everything is about harnessing the health aura and properties of flowers and plants. Out of this passion came April Aromatics, Tanja’s line of 100% natural perfumes made with organic grape spirit. 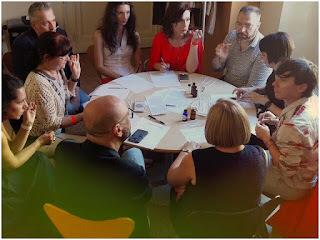 I have written extensively on natural perfumery in recent years and have considerably changed my perception of it, through exposure to expert practitioners such as Mandy Aftel, Hiram Green, Rodney Hughes, Jennifer Botto at Thorn & Bloom and Alexandra Balahoutis at Strange Invisible Perfumes. As someone so obsessed with flowers and floral notes in perfumery it seemed I had found a way of breathing a botanical life force. And after a number of years of serious illness and facing a long erratic recovery, my mind and body wanted other more profound things from my senses. Tanja’s interpretation of the ROOTS theme was one of putting down one’s own roots, not necessarily obeying the familial echo of birth or homeland but planting oneself in welcome soil and burgeoning with the seasons of life. Around that dreamy rose heart which is some repsects is symbolic of Tanja and her sensual and psychological halt she has used a gathering of milky hued woods and rooty earthiness to protect and compliment that rosaceous hub. My first impressions were of desserts, shimmering rose-flavoured syllabubs on a table scattered with soil and leaves. The delicious pink sweetness of the rose oscillating between faded pot-pourri and jammy indolence. As time goes on, Pink Wood becomes something much more protected and closed, the notes narrowing and intensifying their remit. The use of oud, as with Michele is balanced and correct, the Omani variety adding a slightly fumed cocoa facet to the mix that harmonises a beautiful dose of dry, leathered Spanish cistus and shrubby green patchouli. 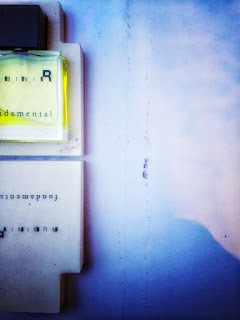 One of my issues sometimes with natural perfumes is the blockiness of compositions, a tendency to place the inherently distinctive naturals side by side rather than genuinely blending, understanding how to mould, alter, weave and transmute the soul of such exquisite materials. Again it does depend on personal taste and some people like this style; being able to say.. I know what that is. Fine. I personally prefer natural perfumers who push their palette a little further. Pink Wood is a beautiful feat of blending; as they settle, the notes seem to float like a faded veil over the central heartfelt rose motif. What is interesting is the odd darkening as the perfume begins to conclude and close down. There is lovely romance in the arenaceous rose and for a short while the grounded, earthen materials rise like smoky fingers to elevate the floral crux. On my skin, this moment felt hugely intense, like a secret bed of roses in a dusky forest. The pink was both lost and found, a bouquet of regret and discerning love. I imagined laying myself down and slowly but surely becoming part of that bed of roses. After the OSA! awards concluded, Tanja and I messaged each other to say hello. As a result she very kindly sent me a set of April Aromatics samples so I could spend some quality Foxy time immersed in her natural world. There is a defiantly original signature that runs through the line, a mix of rose and warm fruit skin mixed with bright sky and woods. This is Tanja’s canvas. Despite the unisex or shared appellation of some of the line, there is I feel a soft, yielding femininity to her work; I think this is likely to be inevitable given her penchant for such beautiful floral material. There is a wise and discreet ambiguity to a number of the compositions; the mauve musings of Purple Reign, lilac, lavender, iris, violet leaf and flower are subverted by a very unsettling costus note, that while naturally sourced can smell very unwashed and slightly creepy. Bohemian Spice smells extraordinary in the night hours, an incredibly seductive clove, cinnamon and orange pomander accord wrapped in a lavish vanilla and incense mood. Tanja is one of the few natural perfumers able to use fruit with any sense of reality and persuasion. Tempted Muse, Nectar of Love and Rose L’Orange all have delicious nectarous facets that I just adored. If I had to pick a favourite and to be honest that is really difficult given the high quality and deeply addictive nature of April Aromatics perfumes, I would have to choose Agartha. 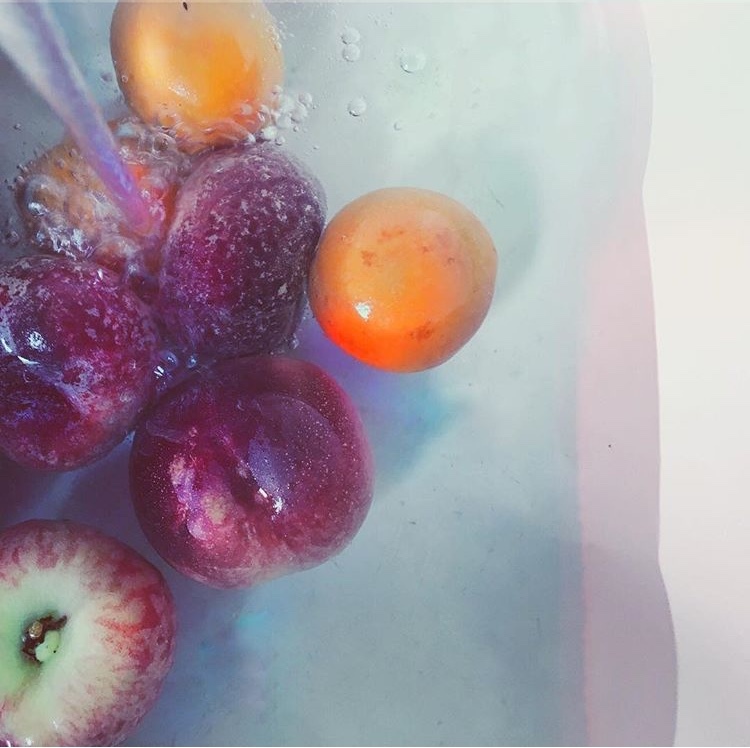 I recently posted an image on Instagram of organic nectarines, peaches and plums being washed in running water in my kitchen sink. Tanja left a comment saying I should try Agartha in the sample set as the image reminded her of the perfume. It does and doesn’t actually…yes the scent is generously imbued with delicious stone fruit nuances but these are more in keeping with the kind of aromas you find in a tobacconists, in those carefully sealed jars of moist rolling or pipe tobacco flavoured with peach, apricot, cherry and honey. Hay, green cardamom and a gentle use of oud work with the sweeter, juicer notes to produce a scent of great dexterity and hazy beauty. But wow, such a fabulous perfume and one of the finest naturals I’ve smelled in a while. I must offer up my apologies here to Léa and Valeria, I had differing choices in my final five but I am pleased for them to be in the top quintet with Light in the Roots and Racines Danseuses respectively. I felt neither quite hit the overall ROOTS mark in terms of execution and harmony, but then others among my fellow judges must have felt differently, which is why a broad spectrum of people is required to adjudicate in such an emotive competition. Marco’s extraordinary, haunted spider web fungal dream Memorhyza was the runner up and awarded a special mention by Adjiumi, the important community of Italian perfume lovers headed up by the Prada-obsessed Cristian Cavagna. I’m not divulging the final order of my top three. It doesn’t really matter at the end of the day. Needless to say, the standard was exceptional and I was truly impressed by the work that Marco and Michele submitted. Tanja’s Pink Wood was amazing but she is after all an established perfumer with quite a library of published olfactive work behind her. That said, it is brave and honest to submit work blind to a competition such as OSA! to be judged the same as any one else and I applaud that. As I said earlier Michele is teasing bottle images for his line of fragrances on his Instagram feed, which pleases me immensely. I will buy and wear Humus; it would give me great pleasure to be able to experience that gorgeous sweet-cut microbial earthen rush over and over. 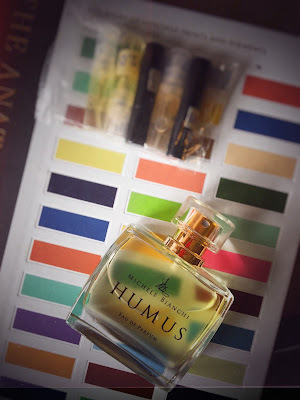 I am very excited to sample the other offerings in the line and as I edit this a bottle of Humus and samples of the Michele’s other perfumes sit on my desk for me to delve into. I talk to both him and Marco and like to think of them as olfactory friends. I am very intrigued to see what Marco does next, he has a beautiful imagination, each time I wear Memorhyza I marvel at that delving, claustrophobic mushroom note and shudder fabulously at the images of cellars, tombs, crazy truffle pigs and night time fungi parties it conjures up. Tanja’s Pink Wood taps into my deep abiding passion for roses, setting these silken, powdered blooms against misty oud, patchouli and leathered labdanum. I am grateful to Ermano, Francesca and the Smell Festival for considering me as a judge this year; I enjoyed the process immensely, it helped me re-focus my olfactory abilities and allowed me to realise that as much as I enjoy the writing of essays for the Foxy blog; since freelancing and on an erratic road to recovery I need to push my writing and skills into new and interesting areas. Already this year I am flexing my writing for diverse magazines and using my photography skills more than ever. I have become so obsessed with floral photography and the minutiae of botanical chromatics and architecture. Competitions like the OSA! Outsider Scent Awards are so important in the current climate of stale launches, copycat perfumery, rising prices in all sectors and the relentless tsunami of flankers that show no sign of falling away. Money talks and it smells like Chanel, Dior and increasingly of Lauder and LVMH who are carefully acquiring the luxe niche brands like Killian, Le Labo, Frédéric Malle, Byredo and Francis Kurkdjian. More of these style brands will fall/follow depending on your point of view and slowly, originality will be defunct. It is imperative we support at grass roots level the talent and dreams of perfumers, olfactory artists and nascent brands as they attempt to make their mark and catch our senses. After all, surely we must be looking for beauty and originality in our olfaction? I hope so. 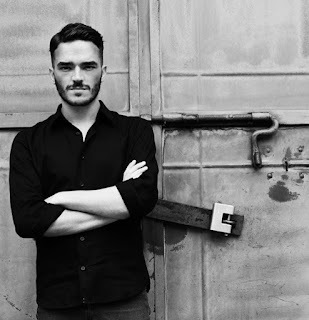 I found it in the work of Marco Ceravolo, Michele Bianchi and Tanja Bochnig; compositions that delighted me and made my senses flicker and delve. There were fragments and shards from the others that I will remember, the strange citrus licquorice vibe of Black Lips, the rubbered tulip touch of Gocce di Isside, henna and almond mingling weirdly in Arbëreschë, Mud and it’s brutal offering up of tilled ground with hyraceum tincture, coffee CO2 extract, angelica and dark immortelle. So much thought and ambition across the disparate entries. Keep a look out for Marco and Michele. I will make sure I keep you up to date with developments. As for Tanja… well go and enjoy now, the beautiful Pink Wood awaits.